Here is our regular weekly schedule. For special events, visit our News & Events page. 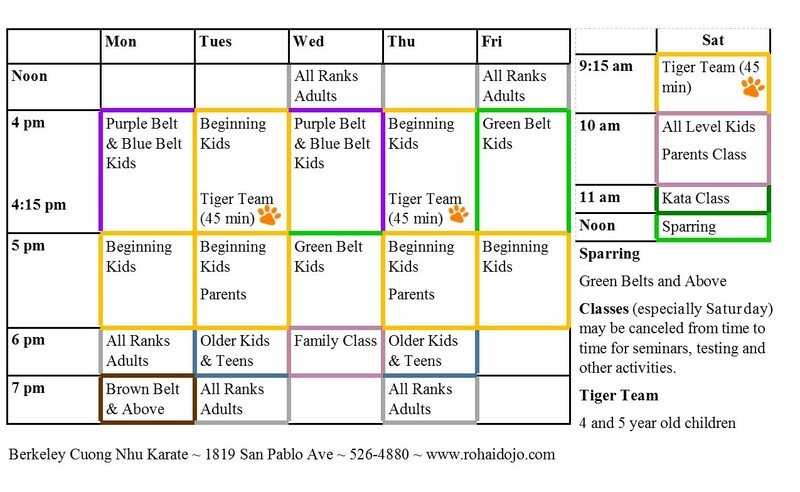 Check out our holiday schedule for details on days when the dojo will be closed.